Face the Music is Kaufman Music Center’s contemporary music education program for teenagers and the country’s only youth orchestra dedicated to post-genre music by living composers. It features a collection of ensembles including chamber orchestras, a jazz big-band, an improvisation collective, string quartets, and mixed chamber-groups, all dedicated to studying and performing experimental, new-classical, new-jazz, and avant-garde music written exclusively by living composers. Face the Music also offers mentorship, support, and unique promotional opportunities to developing young performers and composers through its unparalleled network of professional contemporary musicians, organizations, media outlets, and venues. Every Sunday, more than 100 students from the New York City tristate area come together to work with a team of coaches and conductors to explore and study the music of today as a vehicle to learn collaborative decision-making, gain leadership skills, and produce performances of music composed by its own members. 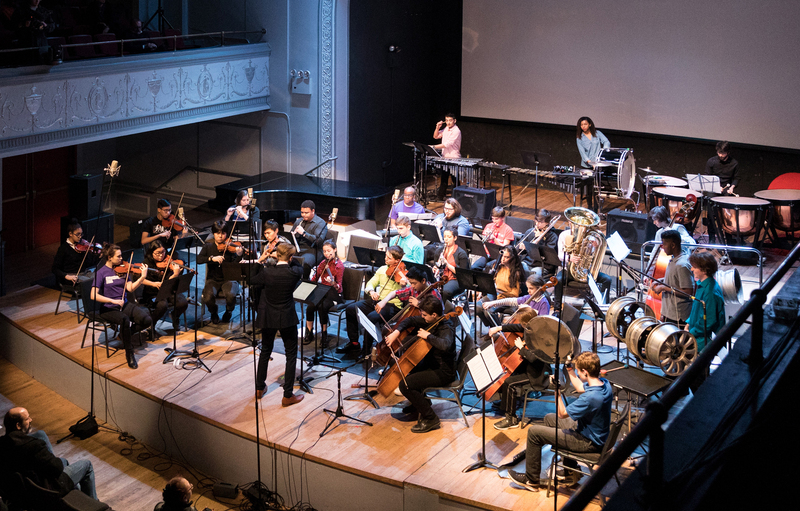 Each year, Face the Music presents more than 20 concerts at some of New York’s best concert venues, experimental performance spaces, schools, and educational institutions.